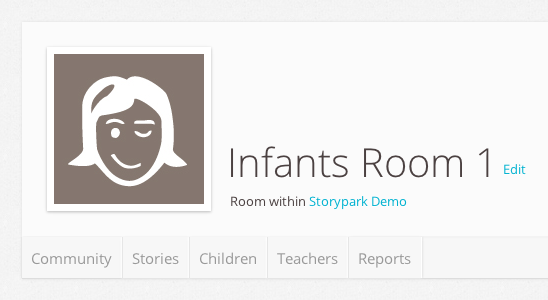 Teachers can edit rooms by going to any main ‘Room’ page and clicking the ‘Edit’ link beside the room's name. 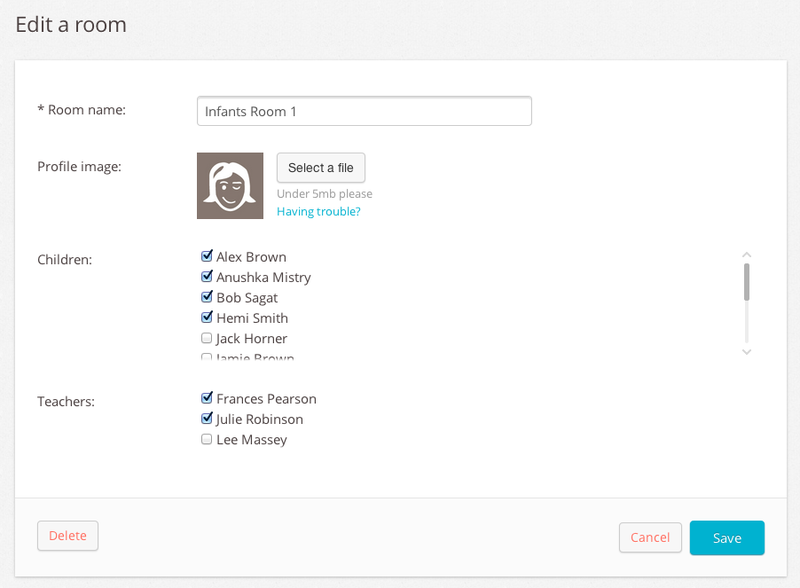 You’ll be taken to an ‘Edit a room’ form where you can change the room's name, add, edit or delete the room’s profile image, and choose which children and teachers to include in the room. If you wish to delete the room completely, click the ‘Delete’ button at the bottom of the form. Click ‘OK’ when asked to confirm, and your room will be deleted. Don’t worry, any children and teachers who had been added to this room will still be part of your Storypark community, they just won’t be part of this room anymore.